Fibre Broadband is the best choice for your growing business. Designed with small and medium enterprises in mind, Fibre Optic Broadband is available in over 1820 exchange service areas and provides, fast and reliable internet access. Fibre Broadband is delivered directly to your premises and is scalable to speeds up to 1000Mbps (1Gbps). Fibre Broadband allows you to transmit data much faster than other connectivity types, especially traditional copper solutions like ADSL, BDSL and EFM. It is backed with our enterprise SLA and connects your premises to our nearest Point of Presence (PoP). Our Fibre optic solutions are available in a Standard Connection or MPLS VPN scenario. 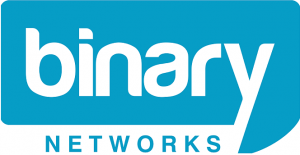 Binary Networks is excited to offer the next generation of ultra-fast broadband that uses state of the art infrastructure at competitive prices. Reliable connectivity option providing dedicated and guaranteed bandwidth. Scalable bandwidth options for your growing business. Ready to get connected to Fibre Broadband? You can choose from our METROFIBRE solutions in many CBD and inner metropolitan areas. Alternatively, FIBREREACH is available in over 1800 for outer metropolitan and regional areas. Contact us to check if Fibre Broadband is available in your area and a free service qualification of your premises.